The map represents the Byzantine Empire, ca 550 CE. The areas highlighted in green indicate the conquests during Justinian I’s reign. 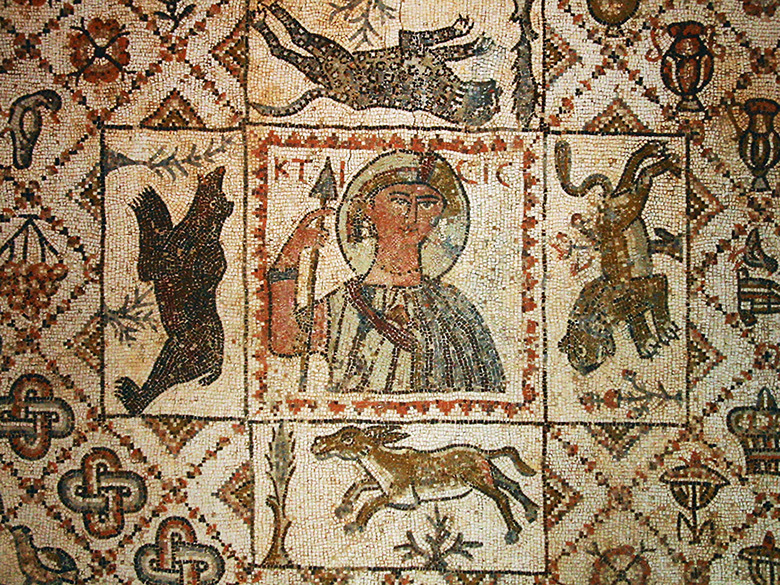 Aristocratic women in powerful political or economic families were able to contribute and participate in Byzantine society. Social status could be traced through both sides of the family. If one’s mother offered greater social prestige, then her children would take their mother’s surname. 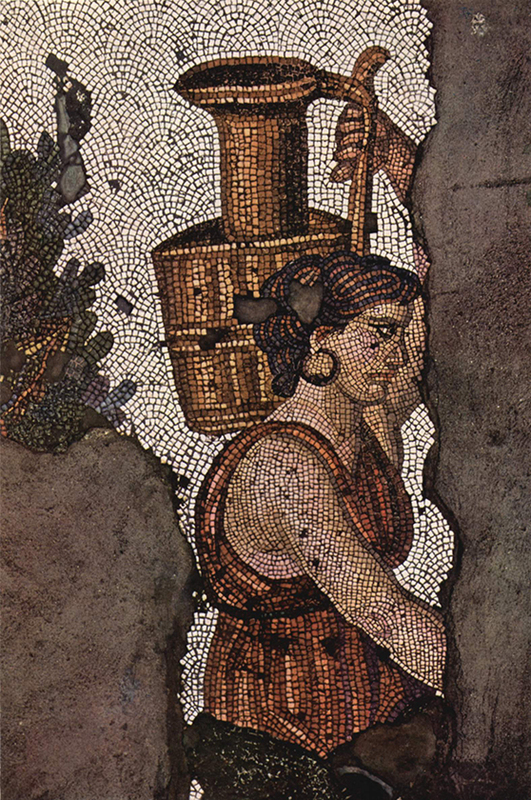 Marriage was the most common path for Byzantine women. Marriages were arranged, and women often married in their mid-teens. Large families were hoped for. In 438 CE, women were given the right to divorce a man and reclaim their dowries. A woman’s reasoning could not simply be that the man was of poor character, irresponsible, or displeasing. However, if he was an enemy of the Church and the faith, she could divorce him. Women ran businesses, participated in the church as nuns or deaconesses, and occasionally took active roles in affairs of the state. 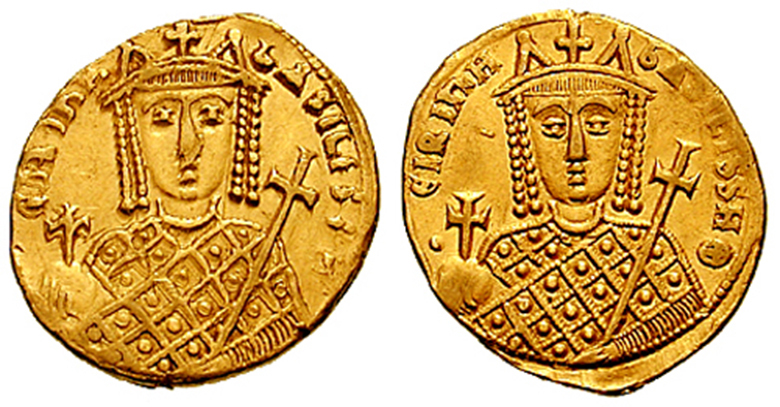 Contrary to Western European noble ladies, Byzantine women had equal rights to bequeath and inherit property. In 313 CE, Emperor Constantine accepted Christianity in the Roman Empire. 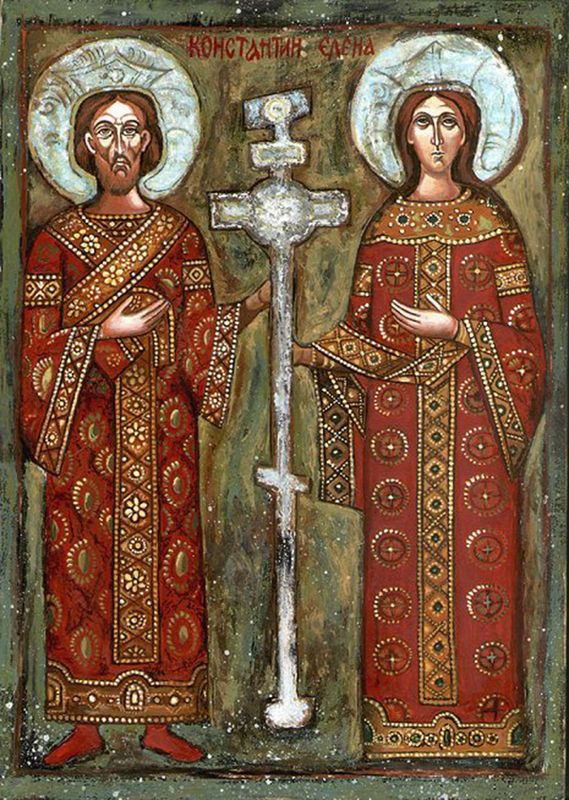 His mother Helena, a Christian, became significant in the Church by successfully finding the Cross of Christ. She was the first of a number of women that would play a significant role in both political and religious aspects of the Empire. Her husband, Emperor Justinian, feared a revolt by the people and his nephews. He contemplated leaving the city of Byzantium. 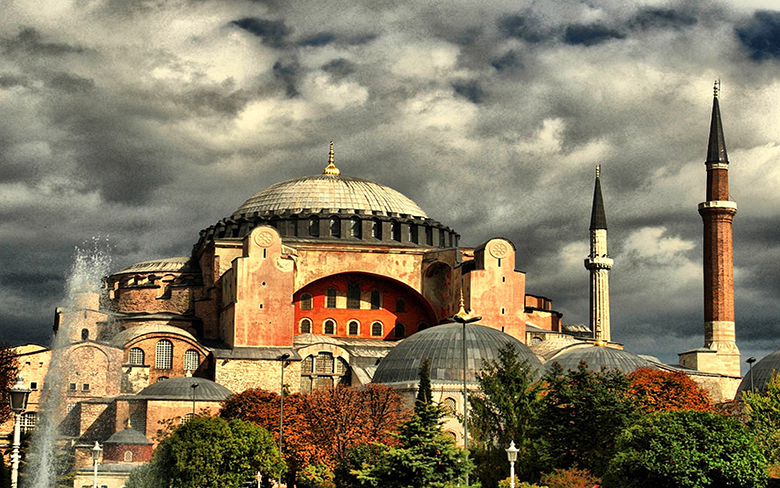 Even if she had to remain in Byzantium alone, she never considered leaving. She was able to boost the morale of her husband and the people. 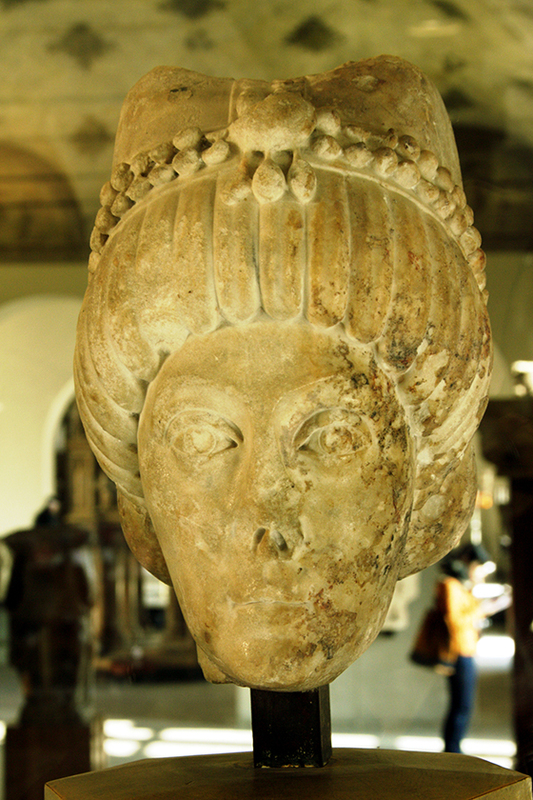 She overthrew her son Constantine VI, and was recognized for confronting the issue of iconoclasm in 787 CE. She proclaimed that icons should indeed be displayed in churches and venerated. After years of controversy around the icons removal from the Church, Theodora was recognized for her role in the reversal of that action. The Seventh Ecumenical Council writes, “Monks and clergy came in procession and restored the icons in their rightful place” within the churches. So significant was the event that it is still commemorated annually in the Eastern Church. 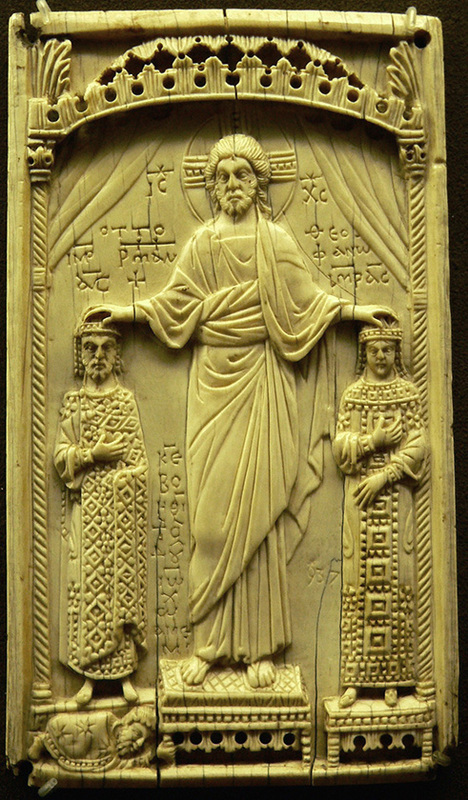 Theophano was a Byzantine princess, married to the Holy Roman Emperor Otto II. Their marriage would bring an alliance between the two different lands that had once been the Roman Empire. She was seen as overly extravagant, and judgmental of the ways of the Romans to the west. 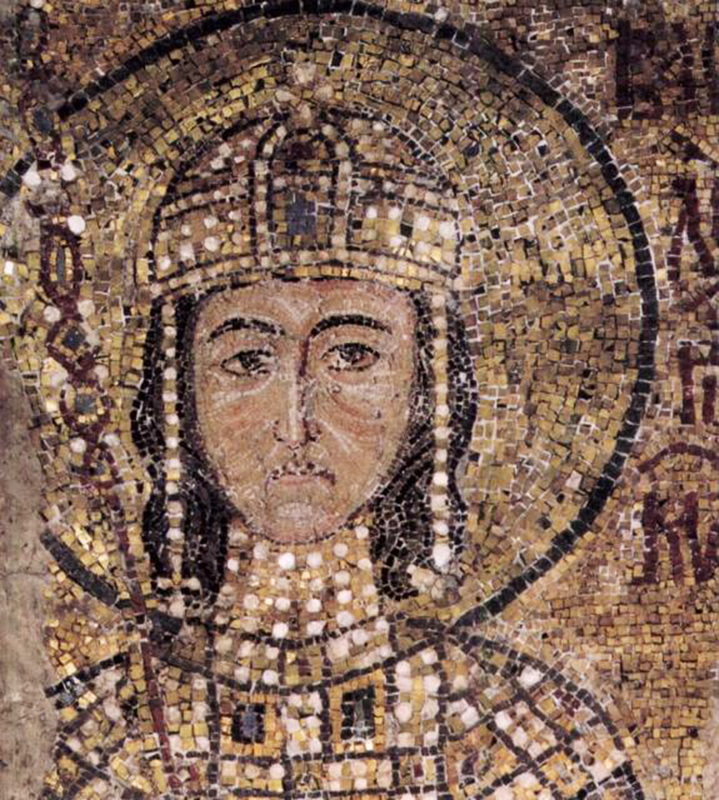 Anna Dalassena was the mother of the Emperor Alexios Komnenos. She played a critical role in his rise to power. After his crowning, he continued to rely on her political and administrative expertise in running the Empire. In 1118 CE, Anna joined in a conspiracy to place her husband on the throne. She failed and retired to a nunnery. 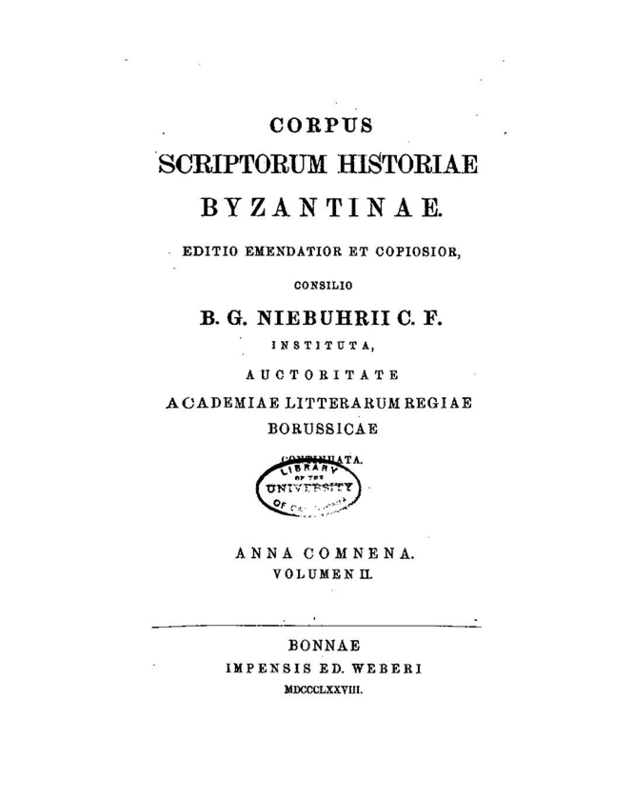 While Anna was in the convent, she wrote fifteen books that make up her famous work Alexiad, for which she is considered the first female historian in history. 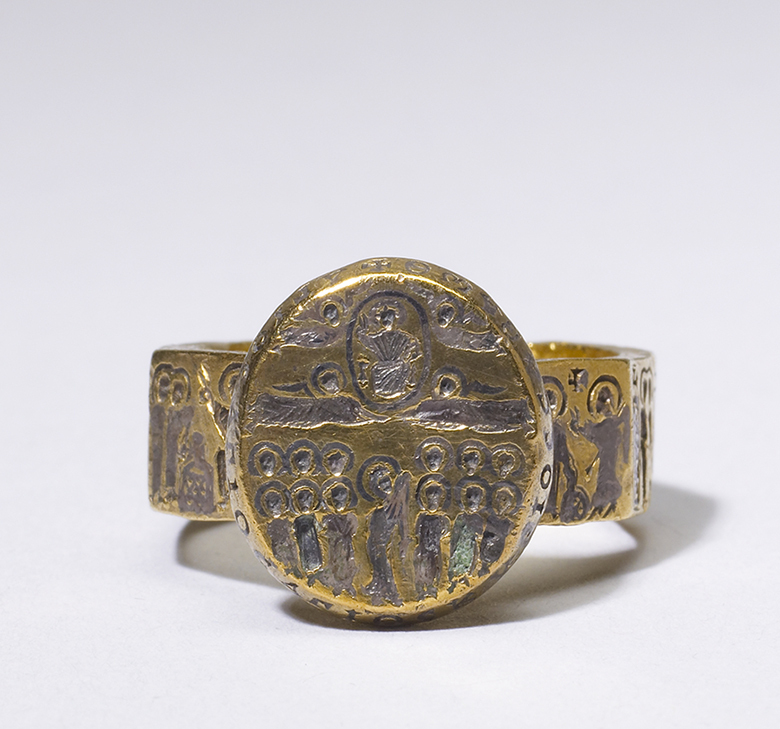 This exhibit only skims the surface of the influence that women had on the Byzantine empire. 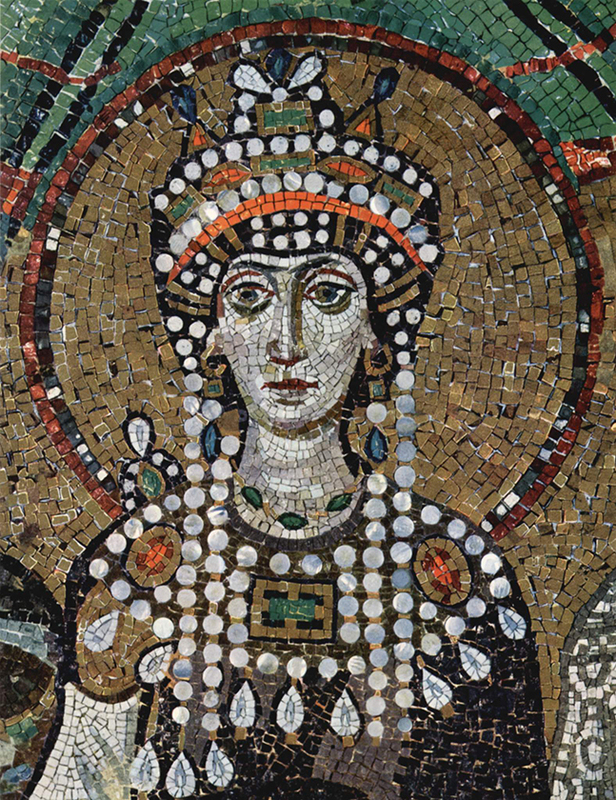 Not only is a woman (Theodora with Justinian) responsible for the Hagia Sophia, and promoting the rights of women, these women became societal and academic role models not only for their contemporaries, but also for women later into the Middle Ages.